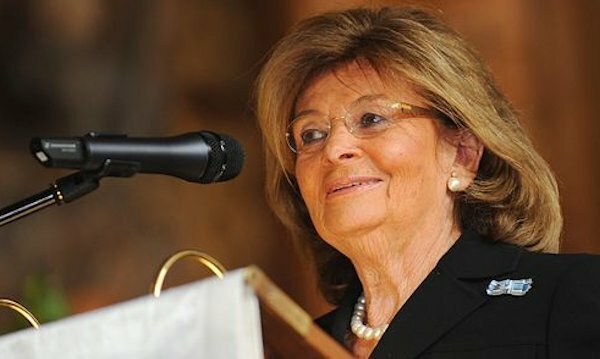 In New York, Charlotte Knobloch, a German Jewish leader and former vice-president of the World Jewish Congress, was presented Tuesday with the Distinguished Humanitarian Award of the Bnai Zion Foundation. The event was co-chaired by Evelyn Sommer, chair of the World Jewish Congress North America, Rabbi Marc Schneier, Jeffrey Wiesenfeld of Alliance Bernstein and Wolfgang Hübschle, representative of the German state of Bavaria in the US. Knobloch also talked about her decision to remain in Germany after the war. She said: “The Jews in Germany were robbed of everything: their dignity, their property and possessions, and their loved ones. After 1945, the remaining Jews in Germany faced a difficult decision: Should they leave as quickly as possible? Or should they give the country one more chance? My decision was made: My husband and I wanted to get away from this place of horror, contempt, persecution and butchering. We wanted to go to America. She praised Chancellor Angela Merkel for her steadfast support for the well-being if Israel but criticized the attitude toward the Jewish state in other European countries and said many European leaders were applying a different standard when it comes to Israel. "Boycotts and the new EU funding guidelines are not only a slap in Israel’s face. They are also politically incorrect. Such unilateral anti-Israeli measures do not promote peace negotiations. They weaken the Jewish state and strengthen its enemies," Knobloch said, adding: "Israel is pilloried. Even Turkish Prime Minister Erdogan, who is aspiring to become a member of the EU, rails openly against Israel and remains unchallenged. No top European politician challenges him – that is scandalous." 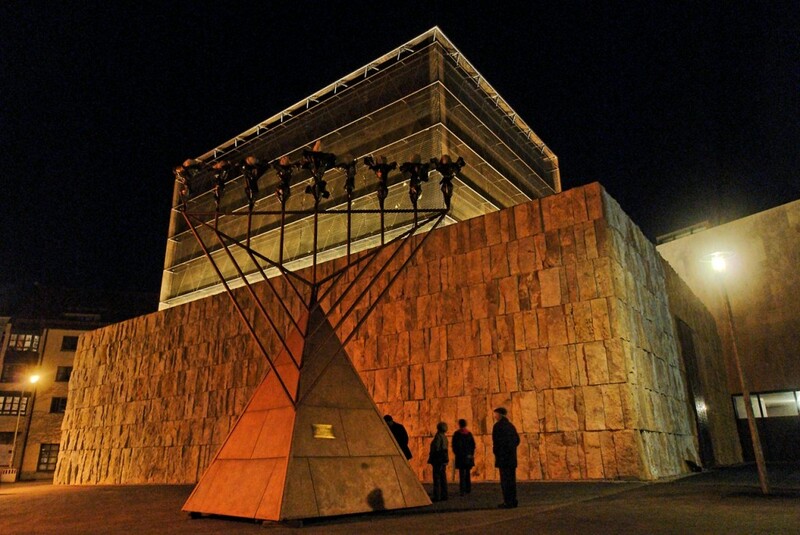 Since 1985, Knobloch has been the head of Munich’s Jewish community. From 2005 to 2013 she was also a vice-president of the World Jewish Congress, and from 2006 to 2010 she served as president of the Central Council of Jews in Germany. One of her key achievements has been the building of the new central synagogue and Jewish center Ohel Jakob in Munich (pictured left), which was inaugurated in 2006. Knobloch was made an honorary citizen of her native city of Munich in 2005. Bnai Zion Foundation is dedicated to assisting those in need with humanitarian projects in both Israel and America. Now in its second century, the organization has completed hundreds of initiatives for the people of Israel and for Jewish people worldwide. Bnai Zion strongly supports close ties between America and Israel and is continuing its projects toward the advancement of the physical, mental and social wellbeing of the citizens of Israel.